Bursting from winter’s stillness comes this joyful yellow flower, blooming as early as January and as late as April. 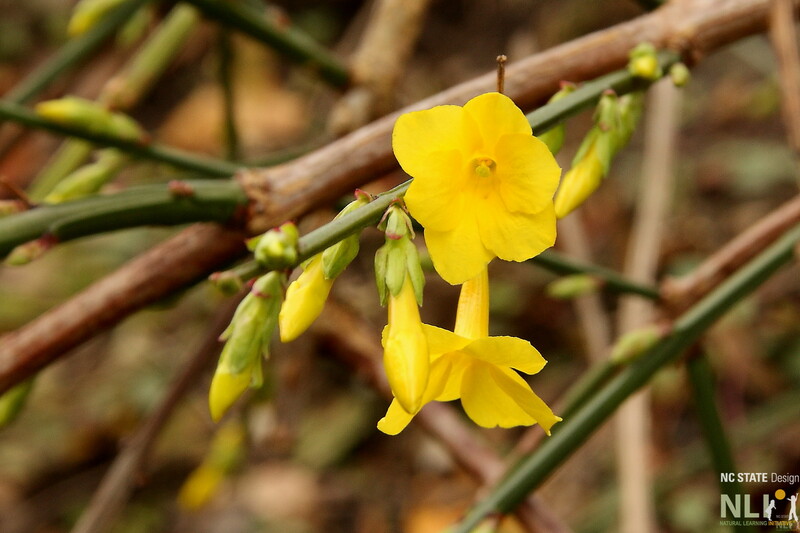 Winter jasmine is a shrubby vine with arching branch-like vines that originate from one central crown. This plant prefers well-drained soils and partial to full sun. With the winter sun low on the horizon, consider planting winter jasmine on the south side of buildings in order to take advantage of the sun on the short days. Erosion is a common side effect of children at play and there are many plants that can help to remedy this issue. Winter jasmine is particularly effective at securing the soil on hillsides and allows water to slowly percolate the soils rather than quickly run off taking layers of soil with it. Winter jasmine also does well draping down the sides of outdoor walls and with some direction, can be trained to climb a support structure. When bright colors are hard to find in the outdoors, a color scavenger hunt can bring an exciting challenge to winter play, winter jasmine providing both yellow and green. Once established, winter jasmine is not easily damaged, making it a great addition to the Outdoor Learning Environment. Picking the willowy branches for fairy crowns or adding the flowers to a collection of loose parts, are excellent ways for children to interact with the plant. Children can even help in training the plant to climb by weaving the branches through the support structure or fence. Don’t confuse with Carolina jasmine, that’s not recommended for OLEs because of its potential toxicity for young children. 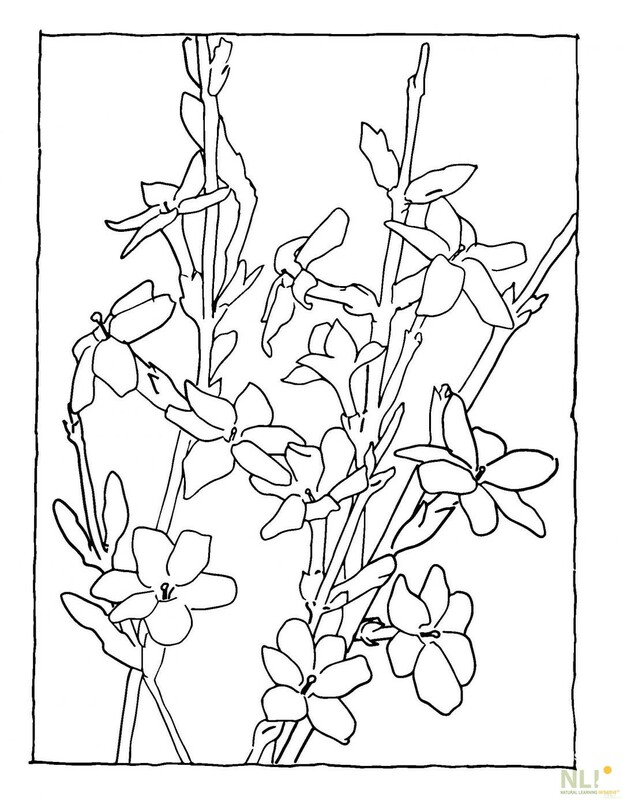 Close up of winter jasmine available under CC BY 2.0. 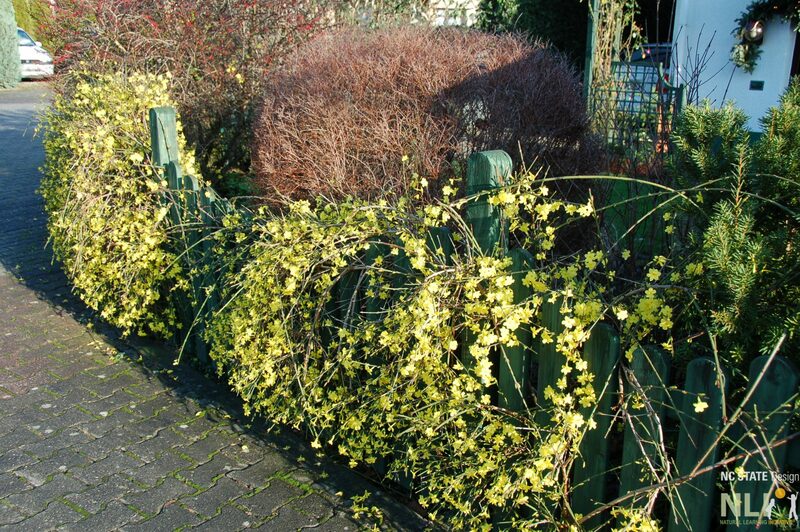 Winter jasmine trained to climb a fence. Available here under CC BY 2.0.